21 Dec 2018… is going to be a great year! With 2018 fast approaching, the Fitness HQ team are getting excited for what’s to come next year. At present, we deliver a range of fitness and leisure based qualifications throughout the UK with academies in Manchester, Liverpool, Newcastle, Cardiff and more. The entire team at Fitness HQ have been working tirelessly over recent months to ensure we are able to offer our students the most up to date and relevant qualifications. 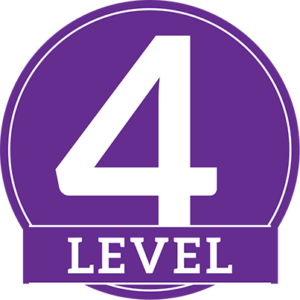 We will soon be delivering the Level 4 Sports Massage qualification and the Advanced Level 4 Personal Training course in all our academies. These courses will fill up fast so contact us today for more information on dates and availability. The fitness industry is constantly evolving and changing to meet the demands of its customers and as a result, so are we. With over 20 years’ experience in training and education, Fitness HQ has fast become the go to training provider for Personal Training courses, Sports Massage courses and other fitness qualifications. As the go to training provider for fitness and leisure qualifications it is important that we evolve and stay at the forefront of education, research and the demands of the industry. We achieve this by regularly attending industry training, presenting and attending various Active Leisure networking events and contributing to research studies…. Oh, and practicing what we preach. All Fitness HQ tutors are experienced fitness professionals with either successful Sports Massage businesses or Personal Training businesses. Over the years I have worked at a number of other training providers in this sector and I can honestly say that no other provider has as many successful personal trainers deliver their courses. This is our USP, this is what makes us difference… we don’t just teach but we practice what we preach! With Fitness HQ, you don’t just get a certificate like other providers, with Fitness HQ you also get the knowledge and the experience our tutors have accumulated over several years of doing the job you want to do. Recent external audits and quality inspections have concluded that Fitness HQ is a ‘low risk centre’ which has exemplary procedures and practices in place. With all the above in mind, 2018 is set to be a great year at Fitness HQ and we hope you can be a part of it. I look forward to seeing you on one of our courses soon.